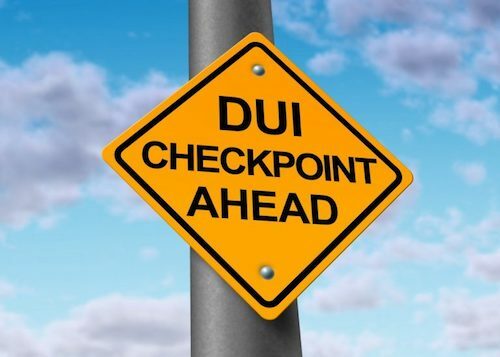 DUI checkpoints tend to be more common during the holidays than any other time of year, since so many people go out and celebrate. This means a great time at a bar or party can quickly turn into a criminal record if you’re caught drinking and driving. So if you plan on driving after attending any holiday events in or around Nashville, Tennessee, you should know what to do if you are stopped at a DUI checkpoint. Just because you get stopped by the police at a DUI checkpoint, doesn’t mean you have been suspected of drinking and driving. During a checkpoint, the police don’t only focus on drivers who may be under the influence of alcohol. They pull over plenty of people who have done nothing wrong. If you can get through the stop without arousing suspicion, you can often leave without any criminal citations. You can start by staying calm and cooperating when the police ask for your driver’s license, registration and insurance card. Cooperating with the police when they ask you for your documents is important, but you should keep your rights in mind when it comes to anything else they ask you. For example, the police will likely ask you several questions about where you are coming from and where you are going. During this time, they will try to determine from your answers and your behavior whether you’ve been drinking. But you don’t have to answer these questions. In fact, you should say very little at this point. You also do not have to agree to let the police search your car, since they need either your permission or a warrant for this. In addition, you have the right to refuse sobriety tests and the breathalyzer test until the police get a warrant. Just keep in mind that refusal is a violation of the implied consent law, so your license may be suspended for up to one year if you do not take any tests. This is why you need to contact a lawyer when you get a DUI. You should also take a look at these answers to frequently asked questions regarding DUIs. If you or someone you know is arrested on suspicion of DUI or officially charged with a DUI during the holidays, contact The Law Office of Bernie McEvoy. Attorney Bernie McEvoy is an experienced, criminal defense attorney who has the passion and dedication needed to handle your case. Call (615) 255-9595 to schedule a free consultation today.